I'm thinking about bidding on that cool custom KooKoo Debbie doll here. It's inspired by Debbie Harry's KooKoo album cover created by H.R. Giger. I have one Living Dead Doll. Her name is Peggy Goo, kind of a spoof on Buddy Holly's song "Peggy Sue." Peggy was a car hop in life, but according to her death certificate, she died in 1959. LOL Magaly. There is only but one Holly B Strange, whom we all love :). We need to have more of her! 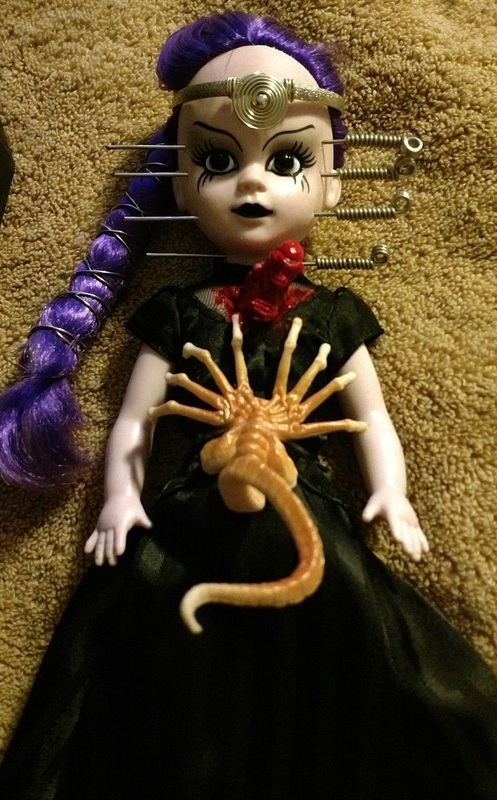 Honestly did not know they still made Living Dead Dolls but that one is pretty cool. Thanks for the comments my friends! Sorry I was MIA again. 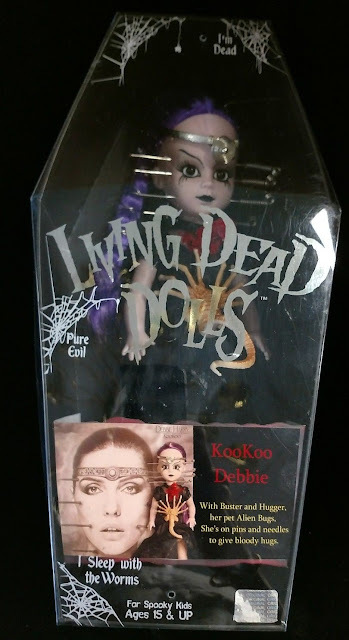 I didn't get KooKoo Debbie, but I got two other Living Dead Dolls from the same seller.